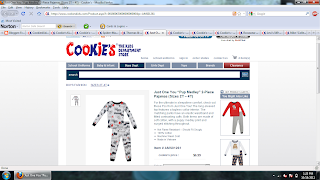 As a Frugal Mom I love to shop online. 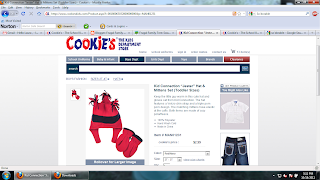 I have found some of the best deals to be online with coupon codes. 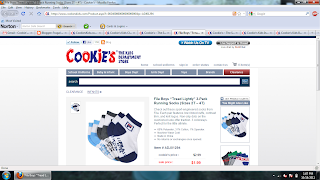 Finding a store that has great brands and low prices makes online shopping even more fun! As it has been getting a bit cooler and it rained a week or so ago I have realized my son needs new winter clothing. Everything from last year he has out grown. I did not realize until I was a parent myself how many times I would be purchasing a whole new wardrobe every season. All of his pants are too short, shirts do not fit, sock and shoes there is no way they are going on. I had to go through his closet putting away his clothing that no longer fits (this was tear filled I cannot believe he is almost 2!) I put away some of my favorite items along with his summer clothing for the season we just had. After the sorting a putting away I came up with a list of the things he really needs. Pants, Socks, Sweatshirts, Sweatpants, Hat and Mittens, Slippers and Pajamas. Thankfully my sister has sent my son shirts for this coming winter so we had some of those. His closet unorganized and in need of a sort. Since I always have to shop on a frugal budget it has to be a great deal to spend my money, after all being frugal means we have nice stuff we just get it at a great price. 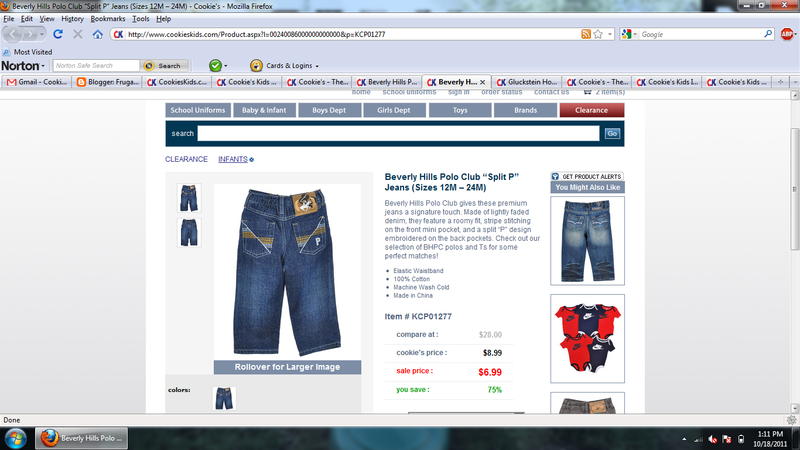 I found a great site that I know I will be shopping at often for clothing for my son, nephews and niece. 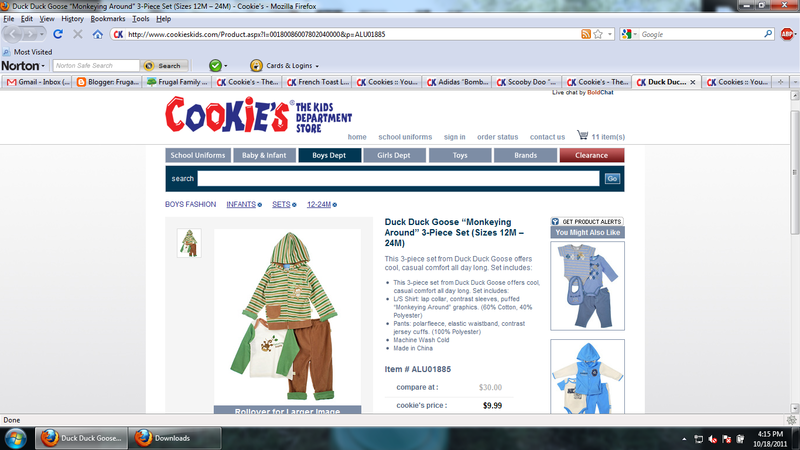 CookiesKids.com is the site I shopped at for my son's new wardrobe. The site has so many items to select from. 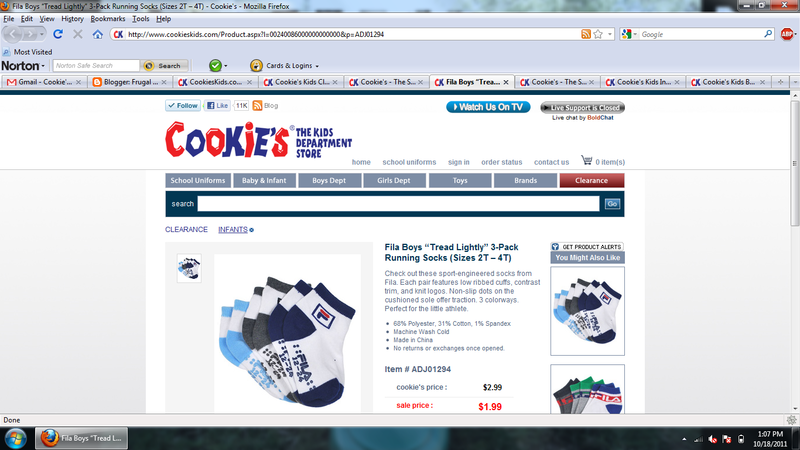 The navigation of the site made it easy to find the sizes I was looking for easily in each category. I looked in the Clearance section first, of course right! 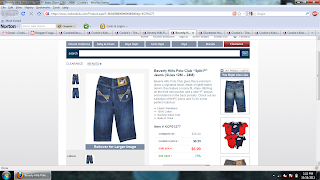 I found many awesome deals for jeans, pajamas and socks. 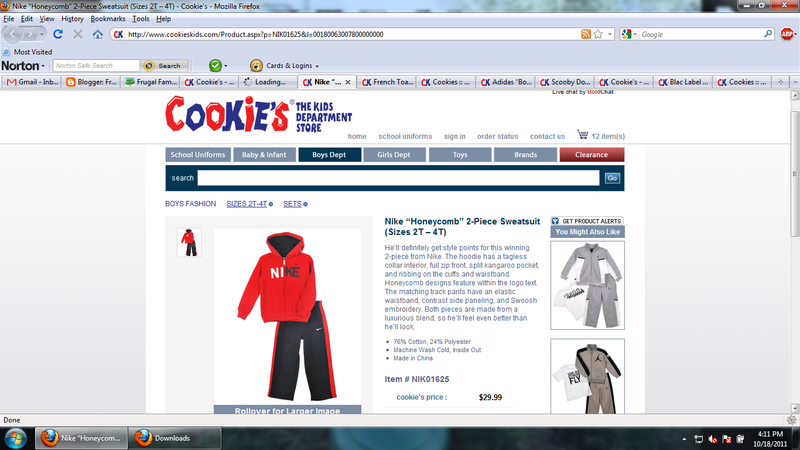 I browse the Boys Section for pants, sweats, slippers and hats. 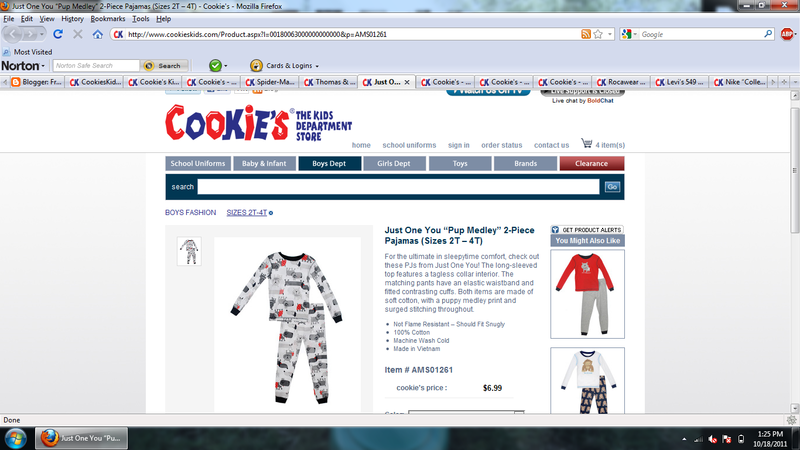 Its hard to believe my son can shop that section, to me hes still a tiny baby! I looked in the Infant section too since he can still wear 24 months. I found tons of items to favorite for my sister's kids. 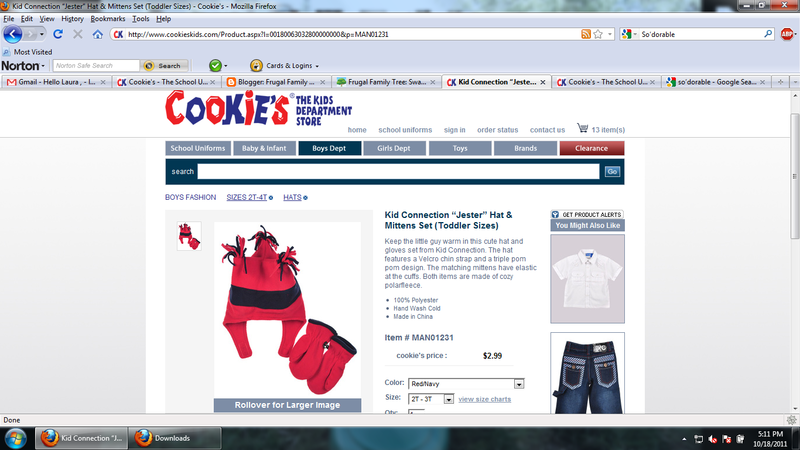 I will definitely be telling her and many other moms I know about Cookie's Kids. 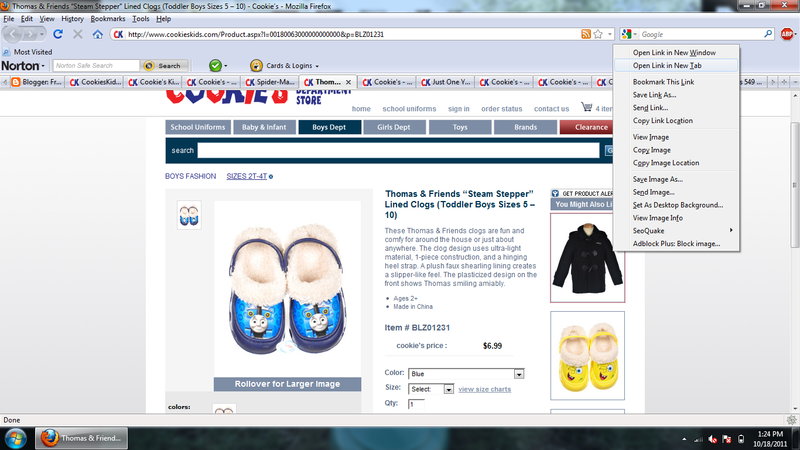 I found some great bargains such as $6.99 for name brand Polo jeans, pajama sets by Just One You for $6.99, Nike Sweatsuit that is a zip up hoodie $29.99 (this was my one splurge item, it is usually much more expensive in stores) Thomas the Train slippers $6.99, Batman pajamas $5.99, Hat with Mittens $2.99, FILA socks $1.99 , a super cute 3 piece monkey outfit $9.99 and the cutest pink with black shoes tights for my sisters new baby. Plus more! I could have shopped that site all day. As I was shopping I found more and more items I wanted. 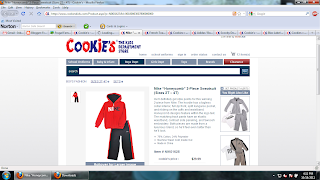 I know for my sons birthday coming up and Christmas we will be back to the site soon. The selection is great they had something for every price range. Top name brands that kids and parents will love. I am more of the type of mom that wants to keep my son a baby by dressing him in cute and animal character outfits while my husband wants him to look cool and wear name brands. Thankfully we found both types of clothing. Even cute name brand things that were still cool! We were both happy with the selection of clothing we picked for our son. 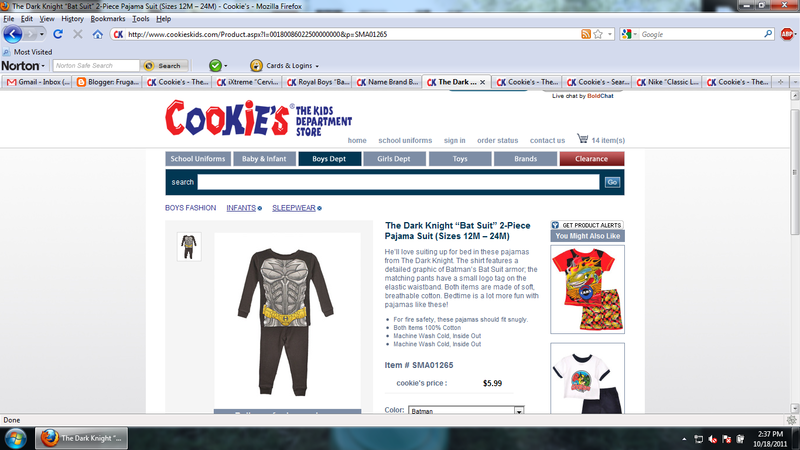 I definitely recommended checking out CookiesKids.com next time you plan on purchasing kids clothing for your own kids or as a gift. I can't wait until our order arrives in the mail. 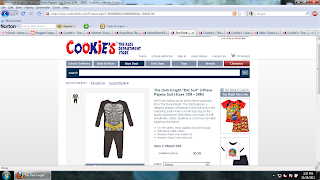 When you sign up to the Cookie's Kids newsletter like I did you will get great online coupon codes and be entered in a contest to win a gift card to the store. I also went to their Facebook and Twitter accounts to check for other coupon codes. Since I LOVE to share a great deal when I find one I wanted to inform you that Living Social on Monday, October 24 in the Louisville area will be offering a promo code for purchasing $40 worth of clothing for $20 and will only be live in the Louisville area. But if Cookie's Kids gets a good response to this deal, they are considering doing the same in other cities across the country. I would love that! I find deals on Living Social and if this was in my area I would buy it! You can read my about my entire shopping experience at my Google+ Picture Story. *This shop has been compensated as part of a social shopper insights study for Collective Bias. #CBias All opinions in this shop post are my own and may vary from your experience. 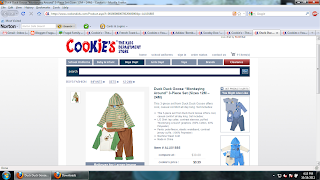 I went shopping at Cookies in NYC and also found some great bargains. With three kids, I am always looking for value at a good price. I love their clothing. I recently found this site and am in LOVE! This will be my clothing shopping choice for Christmas! I love the Duck Duck Goose outfit!